How is it that a book written in 1934 is still valid? This fall I enrolled in the three semester course Teaching Creative Writing at the Amsterdam University of Applied Sciences. One of my first assignments was reading Becoming A Writer, written in 1934 by Dorothea Brande. It turned out to be a book that, to this very date, is thought-provoking and useful to all who aspire to be a writer. Brande had no knowledge of the right brain and the left brain, not the way we do now, but she shares her views as if she did, explaining about the two parts of a writer: the conscious part and the unconscious part. Her main objective in this book is to teach you how to open that tap in your brain that lets your unconscious flow freely into your pen. It is that part, that flow that writes the stories, she says. She even advocates that you find that tap way before you start messing up your brain with the abundance of writing technique handbooks that are poured out on the market. First the unconscious, then the conscious, she says. Near the end of the book Brande introduces the genius, the third component of your nature: “feeble or strong, constantly or spasmodically”, it’s there, she says. Everyone’s got it, but you need to set it free. You must learn to use it. And for that you need rhythm, monotony and silence. Most of us find that rhythm, monotony and silence instinctively: we run, we knit, we walk, we bike, we do whatever brings us that light state of hypnosis from behind which our stories are blended into an integrated work. Thankfully Brande hands us not just the theory, she shares excellent exercises, too. Exercises that let you tap freely from your unconscious and exercises to find that spark of genius that is buried inside all of us. Go read it. It’s worth it. 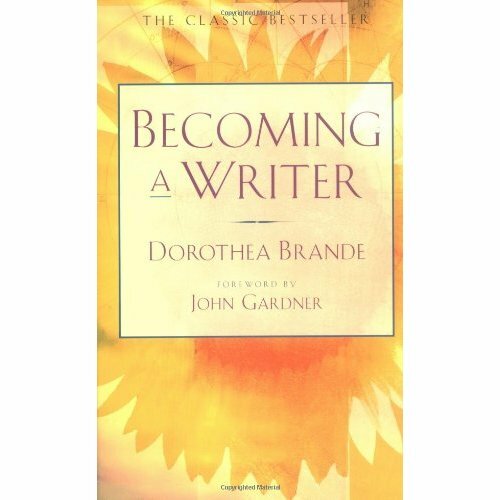 Becoming A Writer by Dorothea Brande with a foreword by John Gardner; Jeremy P. Tarcher/Penguin; ISBN 978-0-87477-164-0. I recently read the book. It’s really worth it, more so for those who want to make writing their career. The edition I read had the foreword by Malcolm Bradbury. Thank you, Dinanath, for sharing your thoughts on “Becoming a Writer”. As a writer and a tutor/mentor creative writing, I agree that it is absolute worth reading for anyone wanting to make a career in writing. It gives you such valuable insights in what it entails to be a writer.